Don’t be worried about choosing this very comfortable service. For all your corporate or private dinners, parties and all others celebrations, shopping day, choose a hired car with a chauffeur ! Make the choice of a prestigious service and enjoy a luxury service with CAMARGUE VTC Premium. 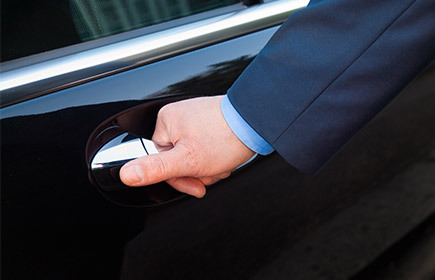 What is a hire car with chauffeur at your disposal ? This service is a car rental service with a chauffeur for a fixed limit of time in a luxury vehicle. The service can be for several hours, half a day, a day or even several days depending on your needs. Which zones are we our drivers ready to service? The departure zone is located from the regions of Gard (30), Herault (34), Vaucluse (84) and Bouches-du-Rhone (13). 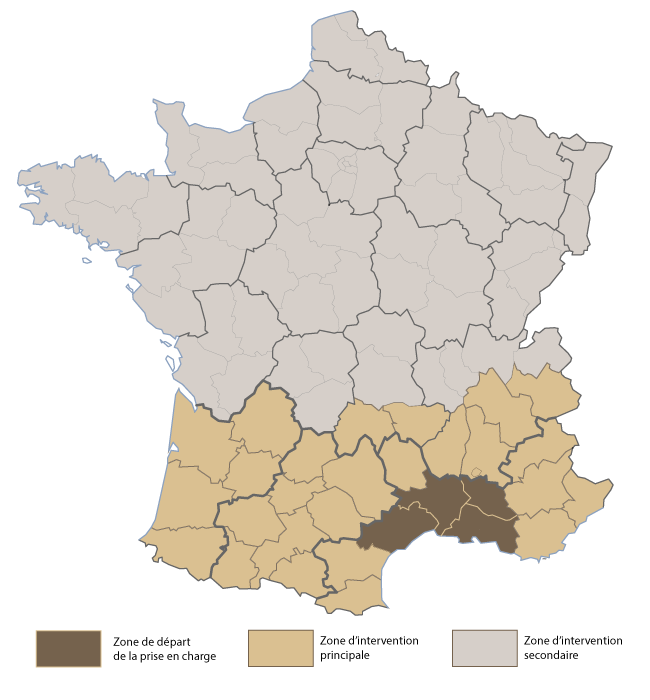 The intervention zone spreads from South West to South East of France and beyond if necessary (Italy, Spain, Switzerland…). As a private individual, you can hire a car with chauffeur for a wedding; the driver will be then available to drive the groom and bride from home to the town hall, from the town hall to the venue or restaurant. As a professional, planes or trains may not be the most convenient option for you ; our service is the most adapted for long distance trip where we will stay with during the total duration of your trip. Our trilingual drivers have received prestigious training which allows them to welcome the clients local or from different countries in the most pleasant conditions in the industry. Try the luxury and comfort for the time of a night, whatever you would need, we will be able to satisfy your needs with professionalism and discretion. You can be sure of one thing: in choosing our service, there will not only be your own wedding as most memorable but the trips with us. You want to welcome family members or friends to our region? Are you just passing through the South of France? Have you ever thought of hiring a car with a chauffeur and get on a luxurious car to discover the charms of the Camargue and Little Camargue? We offer customized tours, which are very different from the usual, and boring organized bus tours, enjoying fully the beautiful landscape and a very nice car ! The Camargue is a stunning region with numerous natural places to visit, flora and wildlife, which represent an exceptional existing patrimony. We can also take you to visit architectural monuments, thatched cottage, tours de guests, castles, headlights…This is a region which has its own identity with plenty of natural attributes ! In one day, you can visit the pont du Gard, Arles, Saint Remy de Provence, les Baux, Avignon, Nîmes or Marseille (Mucem museum, Notre dame de la garde… ), Cassis (have lunch on the port of Cassis and visit the rocks by boat). Guided by an experienced chauffeur, visit at your own pace the various sites of Camargue. Our prices are for the day, half-day or per hour.